In the Middle Ages the St. Margaret’s Chapel stood in this area, the earliest known mention of which is from 1267. 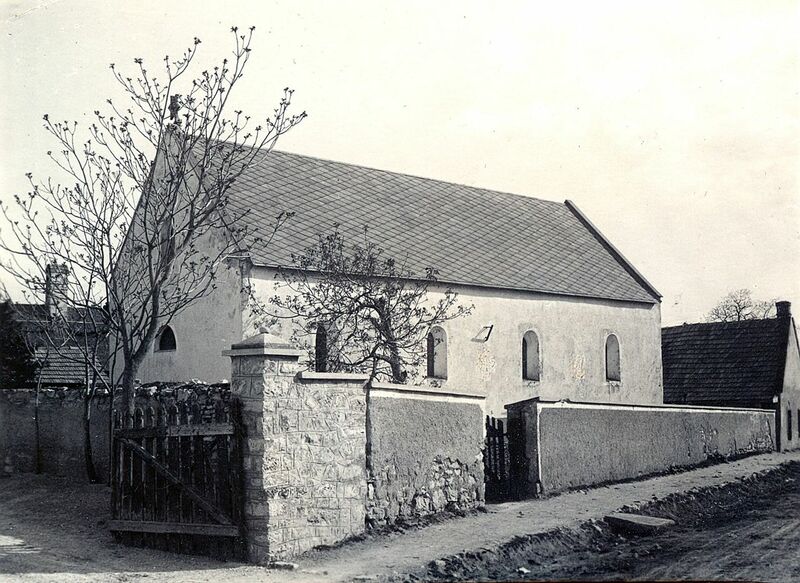 Based on the archaeological finds, the graveyard surrounding the church could have been used continuously from the Árpád Age until the time of the Turkish occupation. The original form of the church is unknown. The unearthed parts of the walls inside the current building are likely to be from the 15th-16th century. The remains trace out a building of elongated scale, without a shrine, with buttressed on the endwalls. As the ground-plan does not resemble a late-Gothic church, it is possible that originally it may have served as the parish priest’s house. The Calvinist parish demolished the old walls in the course of the 18th century, and erected the current building in its place. The early-Baroque church, covered by barrel vault with lunettes, became wider than the earlier building, but its length remained the same. In front of the southern entrance, exactly as today, a vestibule leaning on pillars was erected, perhaps simultaneously with the construction of the church. It is likely that a gallery was built at the western and eastern ends of the building. In the course of later renovations (possibly during the time of when it was already used as a synagogue) the western third of the building was separated by partition walls, possibly also covered by a gallery. It was surely accessible through the newly opened (and later walled up) doorway in the southwest corner of the building. The parish applied for a new building in 1826 as it outgrew the old one. The current Calvinist church, less than 300 metres from the old one, was completed in 1830. Subsequently the former house of God was not used in the following 25 years, until the Jewish community of Füred purchased it. At the eastern end of the building a decorated, staggered Torah Ark was constructed. The synagogue served as a temple until the deportation of the Jews of Füred in 1944.